I'm so glad it's already May, although I'm praying that the weather will start getting warmer soon. I'm definitely more of a summer/spring person so it's important to me that my home feels summery during the warmer months too. May is the perfect time to bring out colourful cushion covers, seasonal flowers and lighter textiles. My spring and summer accessories include pineapple candle holders, cacti tea lights and decorating the house with real pineapples of course. It's so easy to update your living room décor with few spring accessories but make sure you don't forget about your bedroom in the process. All you need is some new colourful or patterned bed linen and you're done. It's really that simple! When the Yorkshire Linen Co. asked me to pick 5 of my favourite spring duvet sets from their new ranges, I was immediately up for the challenge. I do like to play around with patterns and colour this time of year but I still think it's important to stay true to your style. I hope you like my top picks! This Scandinavian inspired duvet set is so much fun. 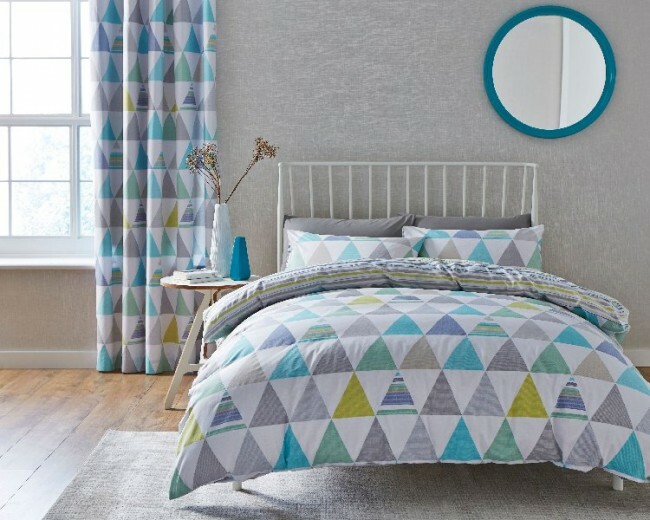 The geo multi pattern will definitely make a statement in your bedroom. It's ideal if you want to inject a bit of colour to your décor without having to change anything else really. You could always have some bright flowers next to your bedside table to tie the look together. The Antina Natural Duvet set is a great alternative if you like patterns but aren't so keen on bright colours. The bold geometric pattern suits most styles and makes a statement in a fashionable, but discrete, kind of way. I find the neutral tones very calming and relaxing too. There is something very autumnal about this bedding which means you will get plenty of use out of it once the summer has passed as well. I never thought I'd say this but embroidered fabrics are really growing on me lately. There's just something so elegant and feminine about them. The Bianca Duvet set is probably my favourite duvet set in the entire collection. It's quite plain but the ethnic embroidery in grey gives the duvet a nice boutique look. What's even more amazing is that it is 100% cotton so you know it will only get better after each wash. Also, don't forget that cotton breaths well compared to synthetic fabrics which makes it a great choice during the summer months. 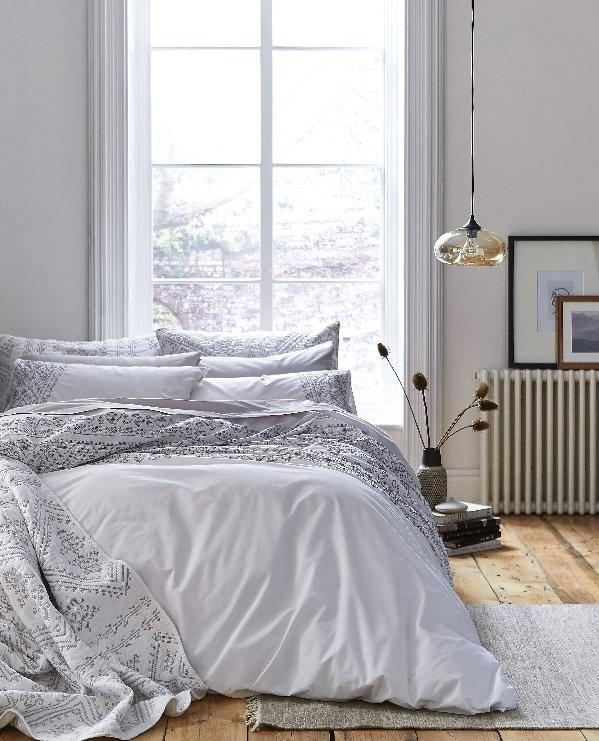 If you like this duvet set, you'll also love the Embroidered Bedspread. Seriously though, how amazing do these two look together?? 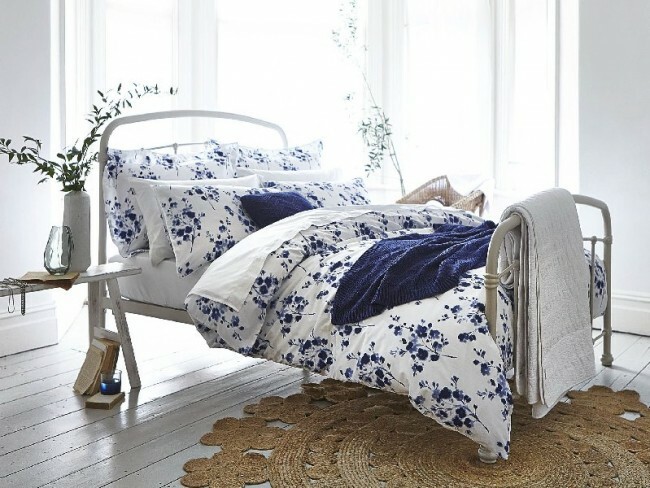 The Bianca Soft Cotton Duvet Set is also available in white featuring a water colour floral in ink blue. This duvet set looks so elegant but cute at the same time. It just has this timeless look about it. Blue is always a safe choice and in smaller doses like this it has a very calming effect. Style your bedside table with eucalyptus leaves and a scented candle for the perfect ambiance! As much as I love colour during spring/summer, white bedding never really goes out fashion. The reason why this duvet set made my top 5 is because I think it's amazing value at almost 50% off at the moment. I love the striped satin detailing and the fact it's 100% cotton is obviously a massive bonus. The Warwick duvet set is also available in silver and taupe which makes it probably one of the most versatile duvet sets out there. By the way, I've noticed most manufacturers recommend you to wash your sheets at 40 degrees these days but I always wash mine at 60 degrees and I've never had any problems. I'm just not convinced that bacteria and dust mites will die at 60 degrees and as someone who suffers from pet and dust allergies I'd rather not risk it. I know that finding the right bed linen can be hard but try to have a bit of fun with it. Obviously go with your instinct but my top tip is to go for a duvet set that's different from your old one. It will be so much more fun to rotate them! I always end up buying similar duvet sets, which is not always a bad thing I guess, but I've decided from now I'm going to try to be a bit more adventurous. I wouldn't go too crazy in the guest room though. I think it's better to stick to white cotton linen that most people will appreciate. 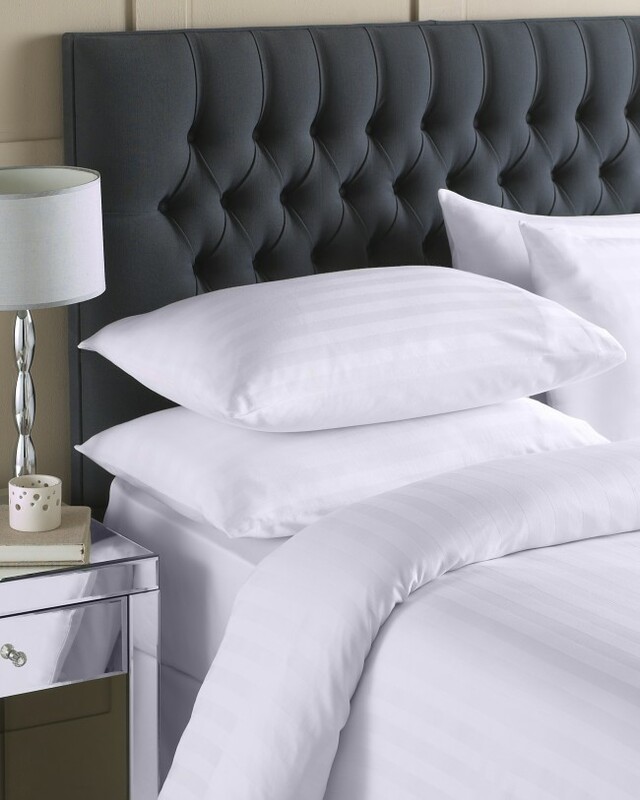 You really cannot go wrong with Egyptian cotton if you do decide to splash out. Also, don't forget to check out the rest of the king size duvet sets in Yorkshire Linen's new range. Whatever your style and budget, there's something for everyone. I'd love to know which duvet set was your favourite? Leave a comment below or let me know on Instagram! * Thank you Yorkshire Linen Co. for sponsoring this post. All thoughts and opinions are my own as usual. *Images credited: Yorkshire Linen Co.